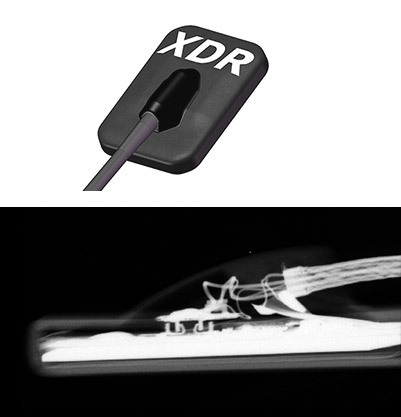 XDR incorporates high resolution sensor technology from industry leading sensor manufacturers. The combinded sensor and software technology provide the highest quality digital diagnostic images available. XDR stores the entire 12-bit dynamic range and full pixel resolution verbatim from the sensor. Digital signatures insure data fidelity. XDR bridges to all the major practice management systems and interfaces with standard video devices icluding intra-oral cameras, digital extra-oral cameras and TWAIN compliant devices. XDR'S open architecture approach provides an effective way of facilitating interchange of digital dental information. 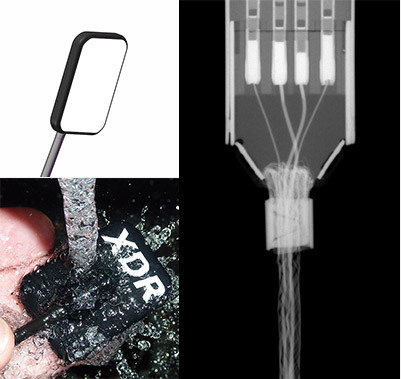 XDR provides simple, intuitive and clinically ergonomic interface. The large push button icons allow for easy operation with gloves and are touch screen ready. The hands-free automated exam has been designed to streamline the x-ray capture process. The display offers the familiar look and feel of an x-ray viewbox and images can be easily moved and manipulated for optimum viewing. Multiple safety features mitigate against data loss even in the event of computer failure. The time to adopt digital technology in the dental operatory has never been better, as many of the opinion leaders in this area will agree. Most dental offices have already embraced computer based practice management systems. 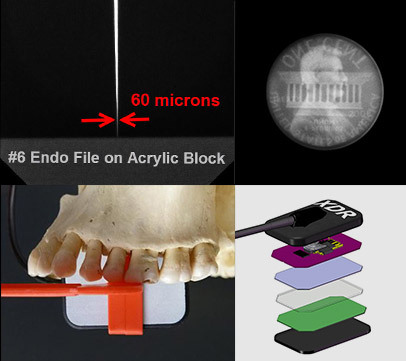 The next step is computer based imaging, and in particular, digital radiography. As digital technology improves, the associated costs have gone down and the performance and ease of use have improved. In addition, pressure is increasing for offices to adopt paperless electronic forms and claims submission. If you’re not getting a diagnostic radiograph, then what’s the point? Signal To Noise Ratio. Can you see Lincoln’s facial features? 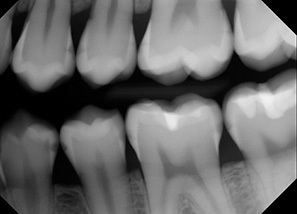 This demonstrates the ability to detect density variations of less than 2%, so you can see the subtlest of dental lesions. Technology. Don’t want yesterday’s technology? We start with a CMOS chip and pixels 19 microns in size. Next is the fiber optic plate which cleans up the image by preventing extraneous X-ray photon collection. And finally, optically coupled at sub-micron tolerances, is the columnar Cesium Iodide scintillation layer. 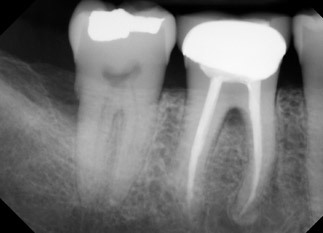 When the patient is more comfortable, you’ll capture the radiograph you’re looking for. Sensor Sizes. Sometimes anatomy wins, and a rigid size-2 sensor just can’t get close enough to the lingual side of the anteriors, nor follow the curvature of the anterior arch form. A narrower size-1 sensor gets the proper anterior PA. And when a smaller mouth walks through the door, the size-1 handles it. Girth. Why insert something bulky? This tapered sensor thins to 5mm, and no sensor’s cord attachment “button” is smaller. White Face. It’s dark in there. Best intraoral technique requires seeing exactly where the sensor is, so this brighter face better reflects limited lighting. Kevlar. Yes, the same Kevlar that’s used in bullet proof vests gives the cord surprising tensile strength. This cord has never come apart from the attached sensor plate. The 19 micron pixel size provides top tier spatial resolution: 26.3 lp/mm theoretical, at least 20 lp/mm actual, so you can see the tip of your #6 file. The superior engineering and electronics provide top tier signal to noise ratio. This allows detection of density variations of less than 2%. 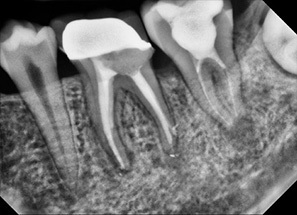 The anatomic design maximizes imaging area on the mesial edge, for capturing that challenging canine/premolar contact. Software-based algorithms process the image to provide film-like details. XDR software ensures preservation of the full resolution and range of the raw data. Touch Screen Ready. Large push button icons allow for easy operation with gloves. Customizable Layouts. Create any number of exam formats, and take images in the order that works for you. Auto Capture. 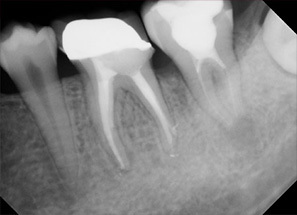 Take radiographs without going back to the computer between each shot. Exposure Meter. This unique feature raises the bar on image quality. By providing immediate feedback on exposure level, the software helps assistants provide the doctor with the best quality images, and helps them self-train on exposure technique. And when the doctor specifies an acceptable meter reading based on diagnostic needs, doctor and assistant work together to apply the ALARA principle more effectively. Familiar. 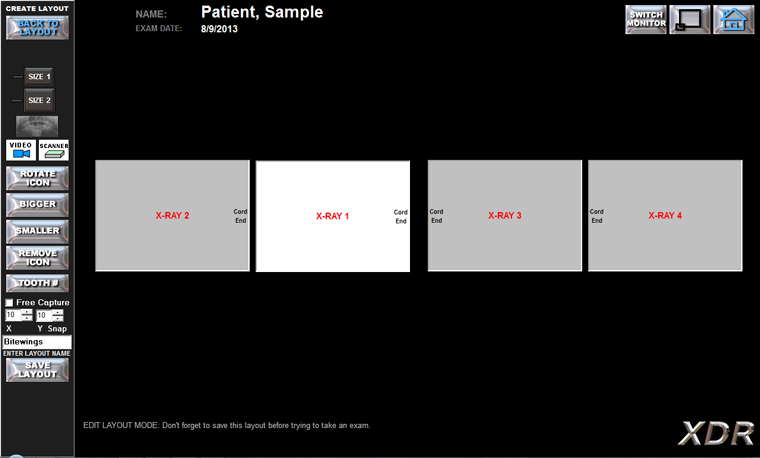 The display offers the familiar look and feel of an x-ray view box, and images can be easily moved and manipulated. This enhancement is specifically designed for the mid brightness range of hard tissues such as bone and the periodontium. This special algorithm will preferentially “stretch” the portion of the digital data in the relevant part of the image’s histogram, increasing the local contrast of density changes only in the hard tissues. This enables the clinician to detect radiolucencies or radiopacities more readily, by enhancing the radiographic appearance of pathologies in the bone such as periapical lesions and changes in the periodontal ligament. 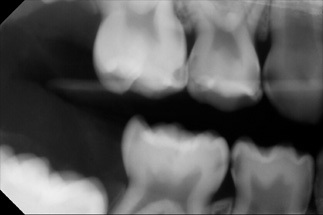 Image filters such as contrast enhancement (Caries/Endo) alter the original image data, so this view of the image lacks in some detail. Therefore, it is important that the imaging software preserve the original raw sensor data, both to permit viewing of the original image and for medical legal ramifications. This is a philosophy we apply to all of our enhancements. 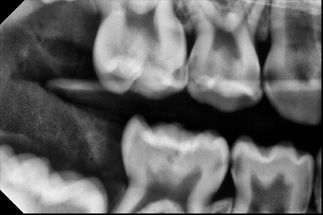 This enhancement is similar to the Caries/Endo filter but is designed to enhance contrast in the darker regions of the image. This enables the clinician to more clearly see radiolucent regions, thus enhancing the appearance of soft tissue structures such as the periodontium. It is designed to enhance the detection of pathologies like periodontal lesions as well as changes in the radiographic appearance of the periodontal ligament and crestal bone. 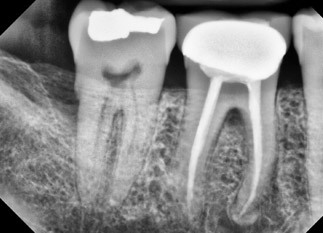 This specific ability to enhance the soft tissue structures is unique to the XDR software. Image filters such as contrast enhancement (Perio) alter the original image data, so this view of the image lacks in some detail. Therefore, it is important that the imaging software preserve the original raw sensor data, both to permit viewing of the original image and for medical legal ramifications. This is a philosophy we apply to all of our enhancements. 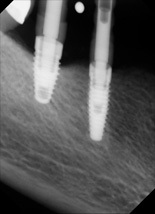 The XDR Sharp or edge enhancement filter is designed to enhance anatomic boundaries and edges of objects like endodontic files. Moreover, our unique sharp filter minimizes two common artifacts of the sharpening filters: 1) granular texture caused by sharpening image noise and, 2) sharpening overshoot at the boundary of light and dark regions of the image. Overshoot is a serious problem because it can create the false appearance of recurrent decay around radiopaque restorations. Image filters such as edge enhancement (Sharp) alter the original image data, so this view of the image lacks in some detail. Therefore, it is important that the imaging software preserve the original raw sensor data, both to permit viewing of the original image and for medical legal ramifications. This is a philosophy we apply to all of our enhancements. This is a patented function in XDR to address image elongation. For proper paralleling technique it is important for the X-ray beam to be perpendicular to both the subject (e.g. 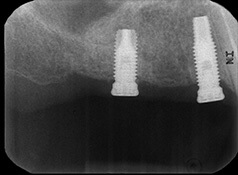 tooth) as well as the sensor. 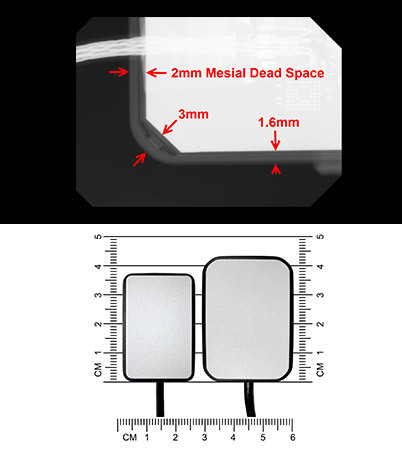 But because of the rigidity of the digital sensor and the intra-oral anatomy of some patients, it may be difficult to position the sensor perpendicular to the X-ray beam. If this happens it results in elongation of the radiographic image. 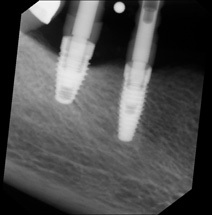 But, with a fiduciary element (BB) in the bite block projecting onto the radiographic image, one can correct the elongation: One selects the distorted fiduciary image with the mouse cursor and clicks the XDR Unwarp button; the unwarping algorithm removes the elongation as well as any magnification in the image. Image filters such as Un-Warp alter the original image data. Therefore, it is important that the imaging software preserve the original raw sensor data, both to permit viewing of the original image and for medical legal ramifications. This is a philosophy we apply to all of our enhancements. Compatibility. We believe in you should be able to get the “best of breed” of all the technology you implement. Therefore, while engineering our products to make the most of each other, we also built them to work well with other products. So, if you’re moving from film to digital, you don’t have to worry whether all the pieces will fit together. Or, if you’re making a switch from someone else’s sensor, or from someone else’s imaging software, you don’t have to worry about throwing anything away. Radiography. We believe our intraoral sensors provide top tier images at an unbeatable value. But we capture images from virtually any intraoral sensor on the market, and from every phosphor storage plate scanner we’ve come across. 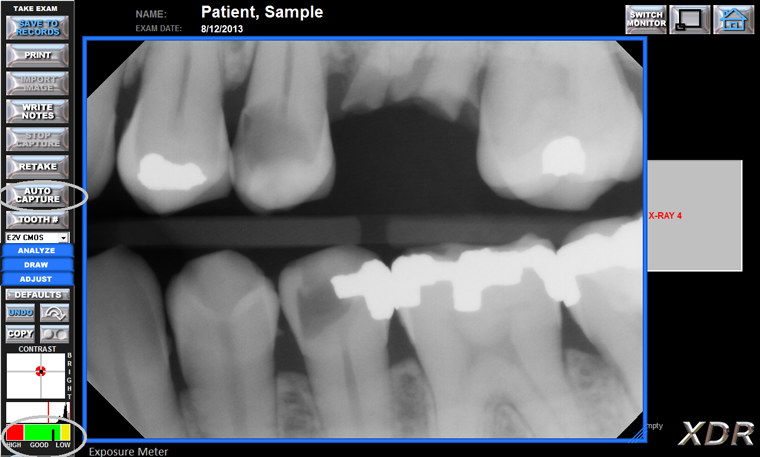 Also, we capture from every digital (or digitally retrofitted) panoramic x-ray machine the market. Photography. We believe our intraoral cameras provide an unbeatable view for those who want quality and value. 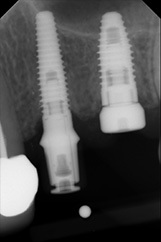 But we’re also able to process video from virtually any intraoral camera on the market. And from any extraoral digital camera on the market. Off-The-Shelf Devices. We’ve interfaced with dozens of makes and models of flat bed scanners. And from ink-jets to lasers to high end acetate printers. Practice Management Systems. Bridging with your practice management system his highly recommended. Fortunately, we’ve never come across a practice management system we couldn’t bridge with. Operating Systems and Networks. We’ve got it handled, from Windows XP Pro to Windows 8, both 32-bit and 64-bit. If your office is small enough to use a PC as the network server, then we’ll help you avoid over-engineering. If performance and fail-over are part of the plan, we’ll work with your technologist. If you’ve decided to use a UNIX server, or NAS, we can handle it. If your enterprise has a wide area network challenge, or mobile vans, we have the solution. Conversion. No one wants to throw away images. And maintaining an old imaging system to view past exams can be tedious and expensive. So we convert your current imaging database, with your legacy images seamlessly organized with your new imaging, ready for comparison. I love dealing with Archer! You always have the best prices and are so nice on the phone! Not like a big box store! Much more personable!!! Keep up the great service. Thank you!!! XDR has worked very well for us. I bought this system on Archers recommendation and we are very happy with it. After we got the templates we wanted from XDR it sure made our life easier. Great system and very easy to use, we learned it in about an hour. I recommend to anyone going digital and give it five stars. I liked the price as well.